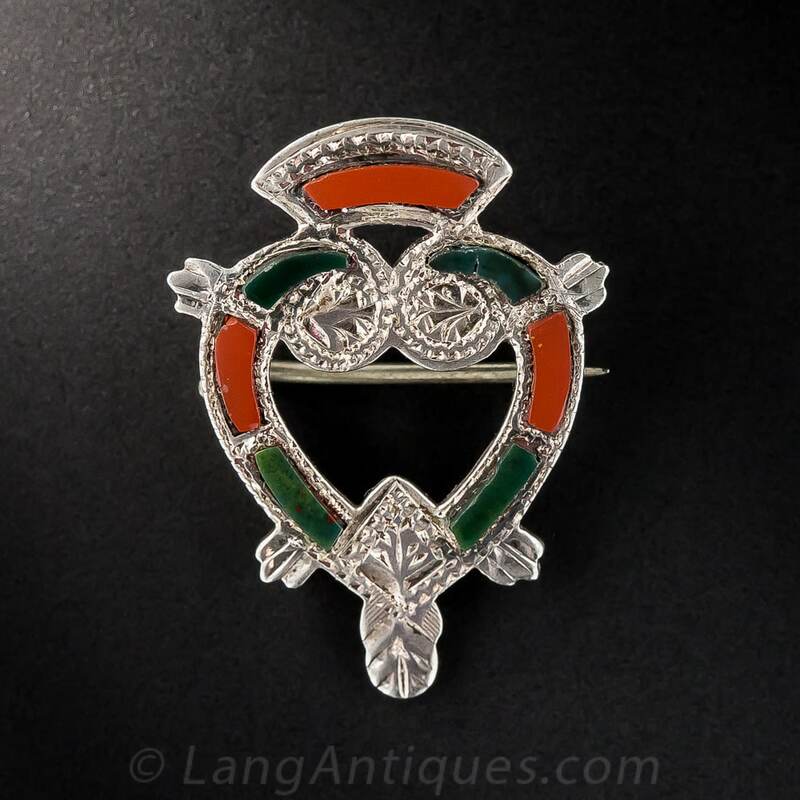 Luckenbooth brooches are Scottish heart-shaped – or double hearts – brooches which originate from late medieval times and were popular again during the 18th and 19th centuries. 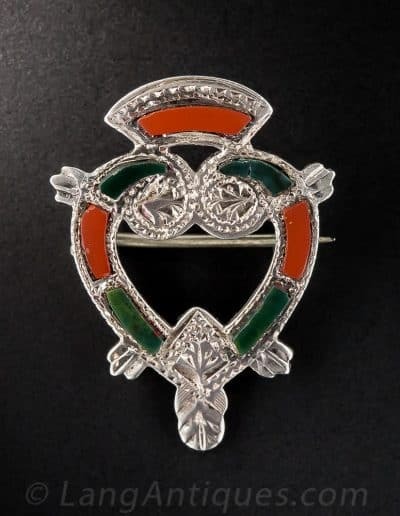 The name is derived from the Luckenbooth shops in Edinburgh where many of these items were sold. They were tokens of love and as such sometimes held posies.